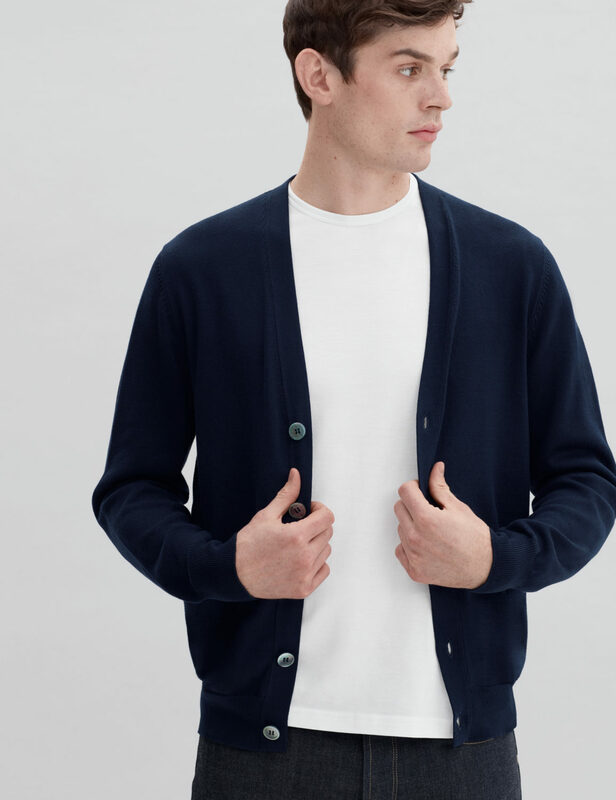 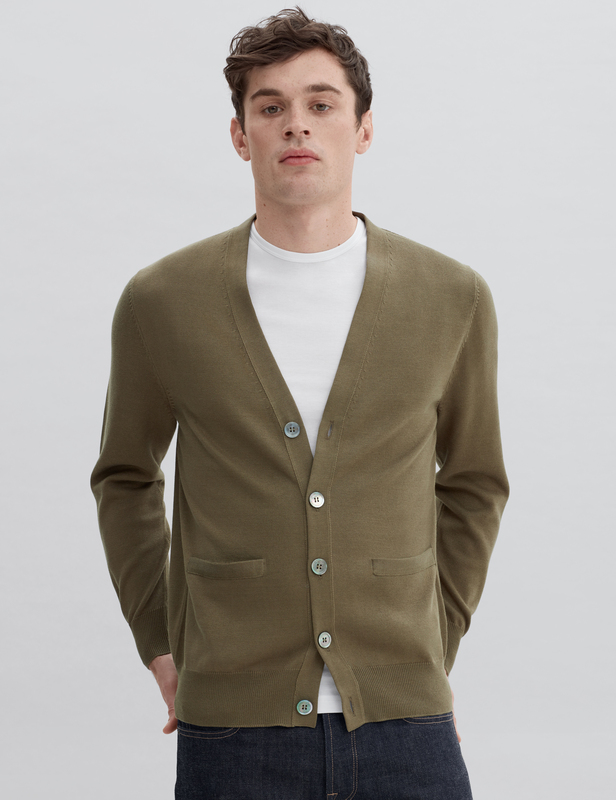 Our impeccably crafted Cotton Knit Cardigan is a worthy investment piece for all seasons. 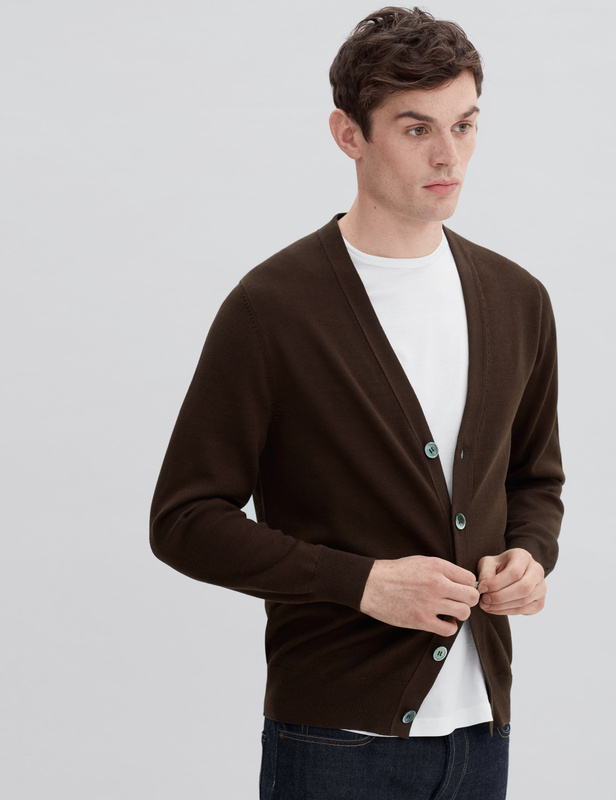 This mid-weight version is knitted from super premium Flamed Mercerized Peruvian Pima cotton yarn, which gives the piece a lustrous appearance. 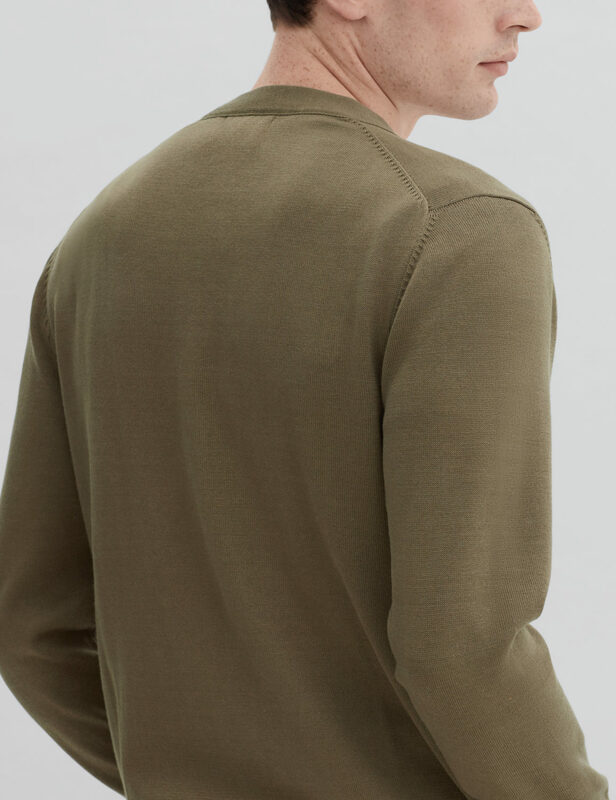 The Mercerization process also increased fiber strength and affinity to dye, allowing us to achieve deep hues.